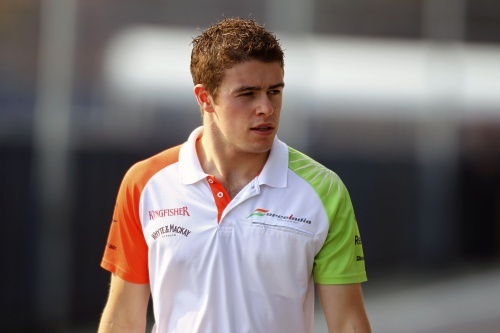 Paul di Resta will join Adrian Sutil at the Force India team for the 2011 season, the Silverstone-based squad finally confirmed on Wednesday. Di Resta, this year's DTM champion, was Force India's third driver during the 2010 season and has been linked with the racing seat for months. "Last year I became third driver here and good things happened, so here's hoping we get more good things," said di Resta during a news conference at the Whyte and Mackay offices in Glasgow. The Scot will make his F1 racing debut at the Bahrain Grand Prix on 13 March. Former Williams driver Nico Hulkenberg will be the team's reserve driver after being unable to find a racing seat for the upcoming season. "I'm happy to be in an F1 team and Force India have shown some good progress for a young team," the German said. Wednesday's announcement means Italian Tonio Liuzzi is leaving the team, despite having a contract for this year.